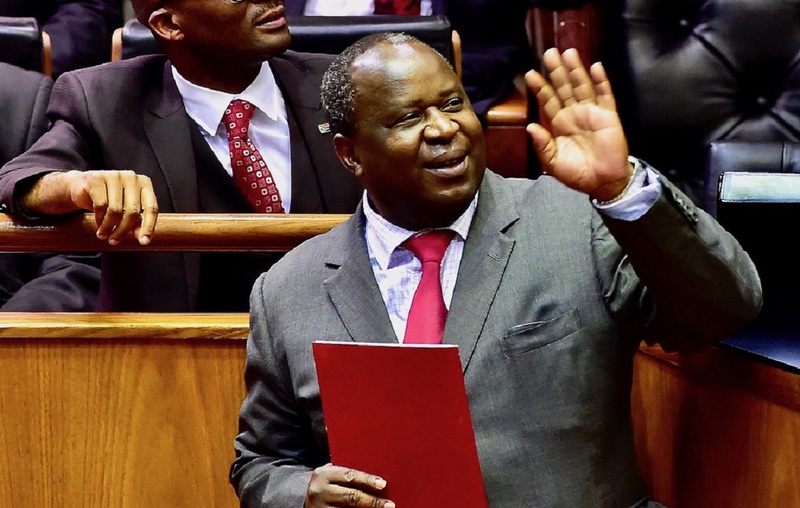 Finance Minister Tito Mboweni delivered the 2019 budget speech on February 20. This was his first speech since after taking over from former minister Malusi Gigaba. In change from Gigabaâ€™s Kendrick Lamar quotes, Mboweni turned to the Bible for inspiration. He delivered the tough speech amidst South Africa’s dire economic situation. A total R278.4 billion was allocated to social development by Mboweni. 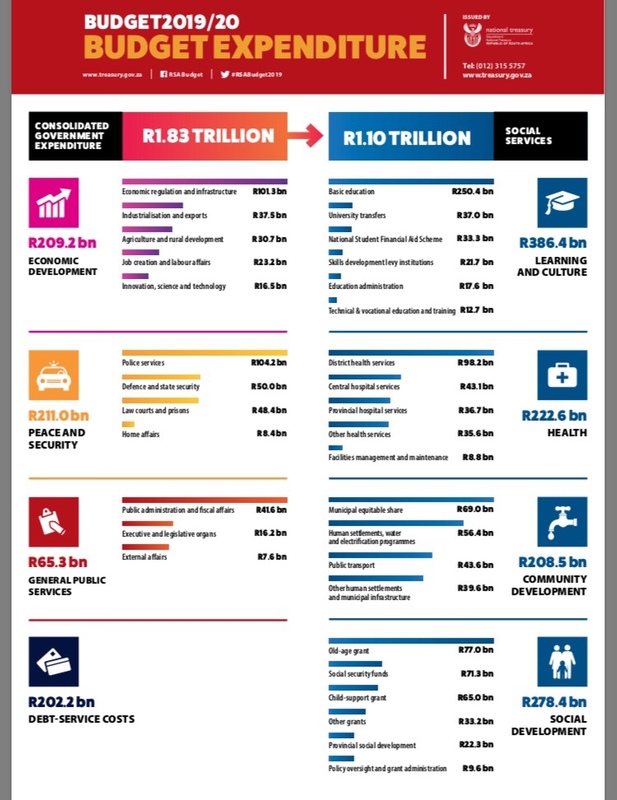 In the previous budget speech, former finance minister Malusi Gigaba announced that government plans to increase its spending on social protection from R193.4 billion in the next financial year to R223.9 billion by 2021. Government has allocated R567 billion for social grant payments. In 2019, Mboweni announced grant values will increase as follows: R80 increase for old age, disability, war veterans and care dependency grants. There will be a R40 increase for the foster care grant to R1 000. Child support grants will increase to R420 in April and to R430 in October. It will be interesting to see how much of that money will be allocated to fund womenâ€™s shelters and gender-based violence organisations. The social development department continuously provides about 1-2% of its overall budget to the victim empowerment programme, which funds womenâ€™s shelters and gender-based violence organisations. In the last financial year, R65.2 million was allocated for victim empowerment. This is expected to increase to R74.3 million by 2021. When this money is filtered down,allocations to shelters for women might range from 25% to 49% of the victim empowerment programme budget. Organisations working on victim empowerment tended to be funded less than those providing services in other social welfare areas despite government stating that shelters were a â€œnational priorityâ€. In 2018, government committed itself to fight against gender-based violence by holding the Gender Summit in November.Â The Summit was held after the intersectional movement The Total Shutdown demanded that government seek solutions to the pandemic of gender-based violence (GBV) and femicide that plagues women and gender non-conforming people in the country. Mboweni announced that over the medium term, the government will spend R111.2 billion to ensure that 2.8 million deserving students from poor and working class families obtain their qualifications at universities and TVET colleges. In 2018 Gigaba was left to answer the question of how the government would pay for free education. The 2018 speech was the first after the December 2017 free education announcement by former president Jacob Zuma. Gigaba announced the allocation of an additional R57 billion of funding for fee-free higher education. The free education model meant that all first-year students with a family income below R350 000 per annum at universities and technical and vocational education and training (TVET) colleges would be fully funded. From 2018 this was due to be rolled out until all years of study are covered. Returning National Student Financial Aid Scheme (NSFAS) students at university will have their loans for 2018 onwards converted to a bursary. In the budget speech and Ramaphosaâ€™s State of the Nation (SONA) there was no mention of increases to the NSFAS, scrapping of historic debt, and increases in accomodation. Those are the three issues that have been a recurring themes in students protests in 2018 and 2019.